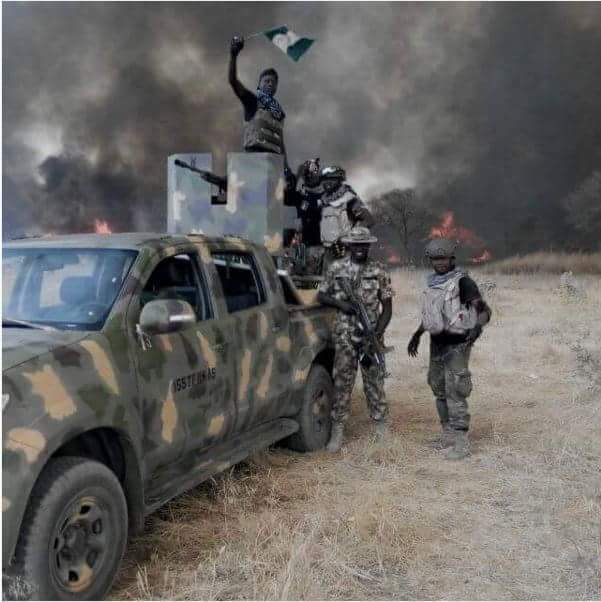 Damasak Local Government Area of Borno state is under crossfire between Nigerian soldiers and Boko Haram fighters. The battle was raging at the time of filing the report. The Chief of Army Staff, Lt. General Buratai is in the region, leading efforts to flush out the remnants of Boko Haram insurgents in the Lake Chad fringes. A competent Military source, told NAN that the military and the terrorists were currently engaged in a heavy gun battle. He said that the insurgents stormed the town to attack a military formation in the evening but they met stiff resistance from troops. Chukwu said that ” Troops of 145 Bn in Damasak, Borno State are engaging Boko Haram terrorists who came to attack their location at about 6 p.m. this evening. “Fierce battle is on going right now. The troops are dealing with the terrorists.